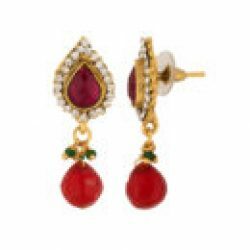 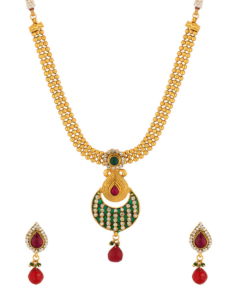 Red Stone Drop Golden Traditional Necklace Set dazzling Pendant Set With Golden Chain – Very pleasing and graceful, this gold toned necklace set is just perfect for wedding or festive wear. 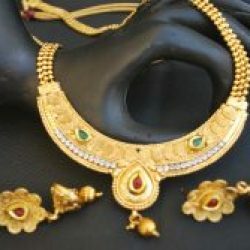 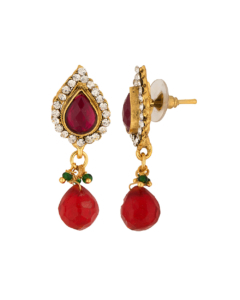 It features exquisite work accompanied by glittering CZ and red stones. 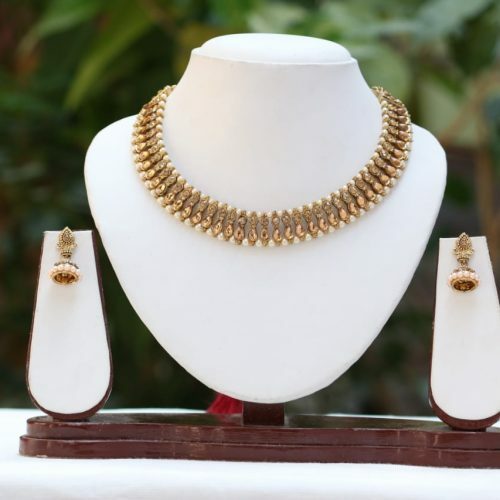 Pick this piece to add new definition to your outfit.